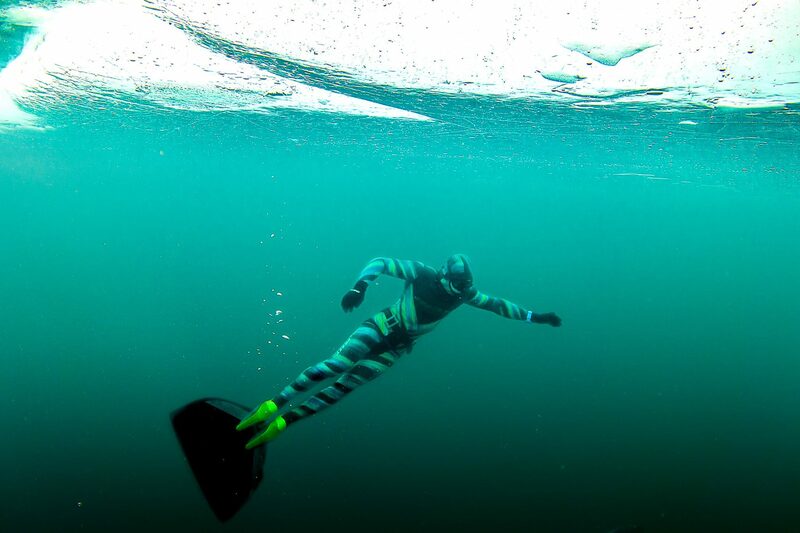 Vitomir, a Croatian freediver, climber and explorer, is constantly trying to avoid routine by traveling the world, participating in extreme sports and pushing his limits. He is educated in several universities and still eager to learn more. His vivid background gives him the possibility to jump on his feet in all kinds of situations, which he exploits as much as possible. There is no easy way to put in short his last year, and much less his bio. 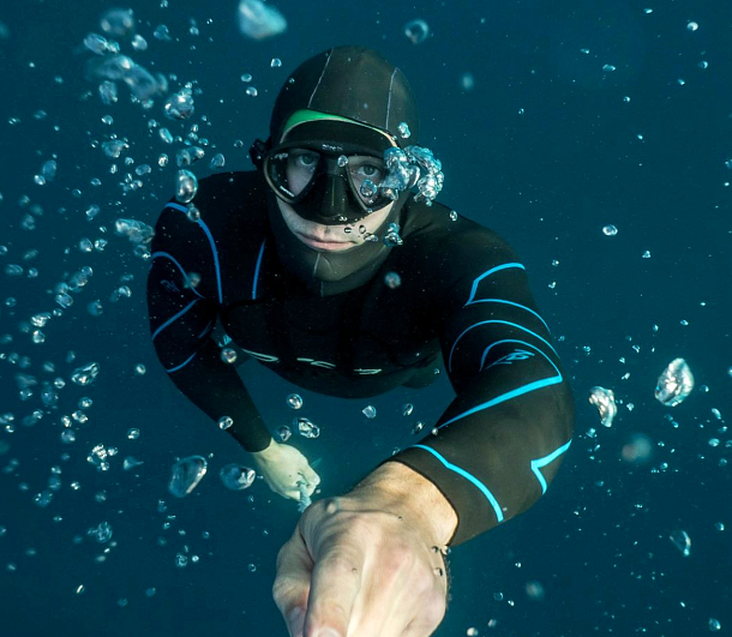 How did you become involved in freediving and other adventure activities, and how have they made a positive impact on your life? They didn’t (make a positive impact); they only get me in trouble. Every activity has its own story and a part on my life timeline. 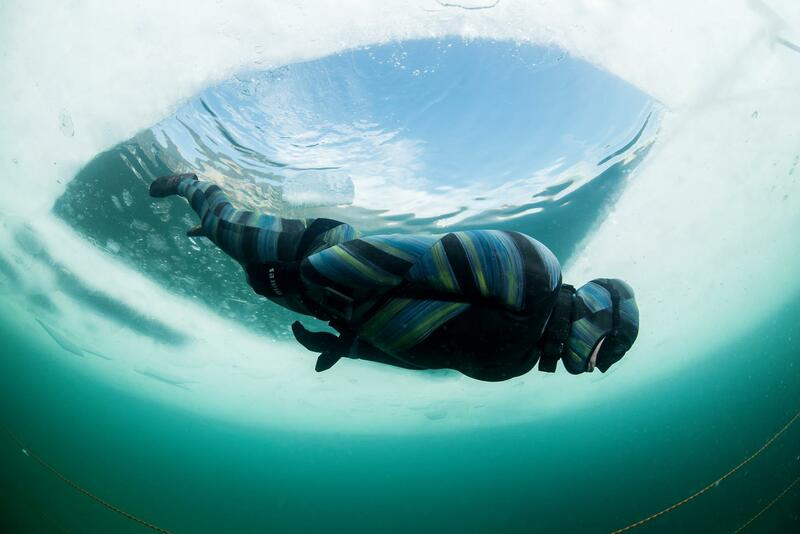 ​As for freediving, I was in love with the sea and have explored my limits from my early childhood. I stopped at one point because it was just not practical any more and I didn’t have company to pursue my goals. 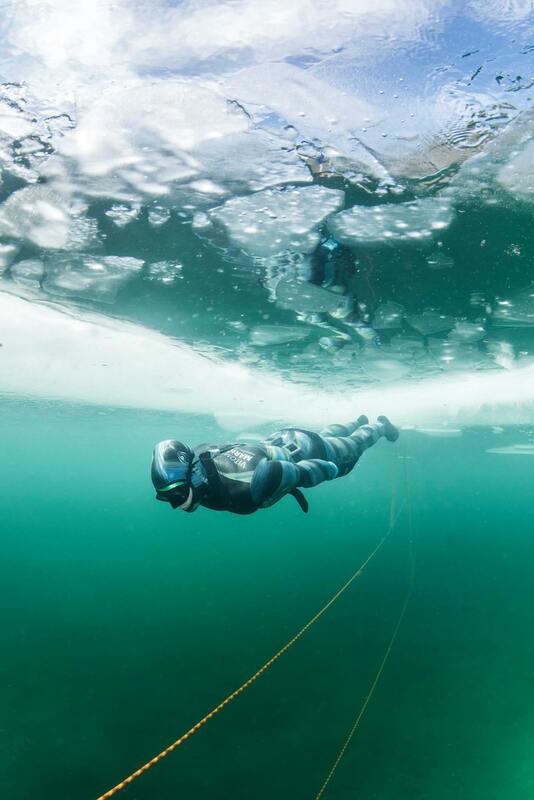 A year ago I got the chance to break the under ice freediving record, and I said why not. During preparation I realized my form is still world class, and things have changed in a way that there are much more divers now, so I decided to give it a go and went for the title in the world championships. ​Where are some of your favorite diving spots? Croatia: the islands are amazing, and being local I know how to find great spots. I liked Tonga very much too. You are also an avid climber and high-liner. 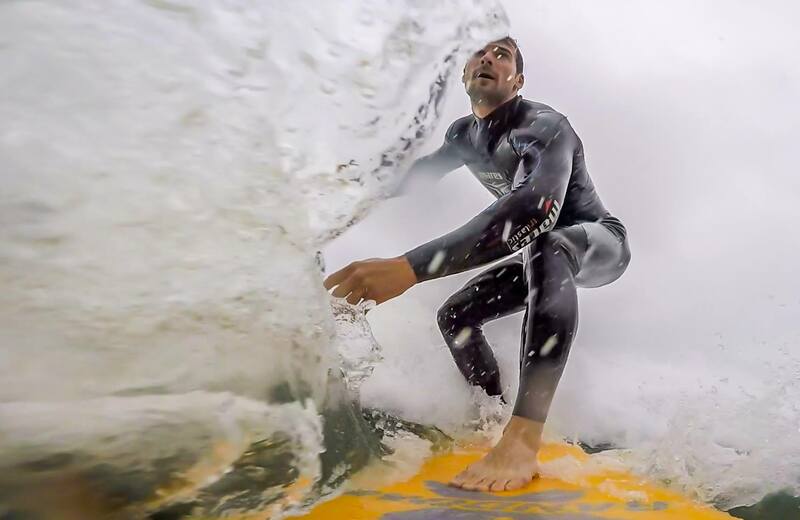 What inspired you to start high-lining, and what keeps you coming back to the sport? 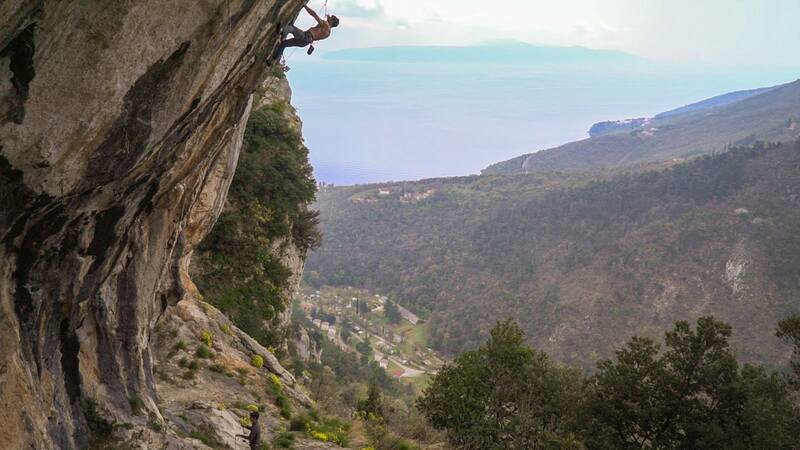 Climbing is a passion and an adrenaline fix from my youth; I’ll always keep coming back to it. 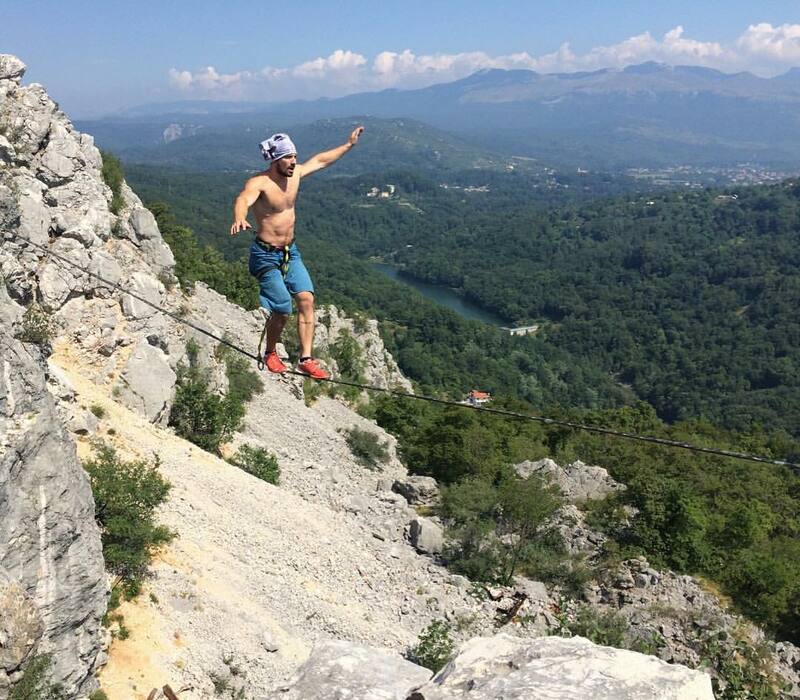 Highlining is an extension to climbing, and being in love with the circus, bringing circus to the outdoors was a win situation for me. This is purely a mental adrenaline joyride and I love taking it. How do you hope to inspire people by sharing your adventures? I like the feedback that people get inspired to to their own personal goals or follow their dreams because they were motivated by my projects. This is one of the reasons I do expeditions. 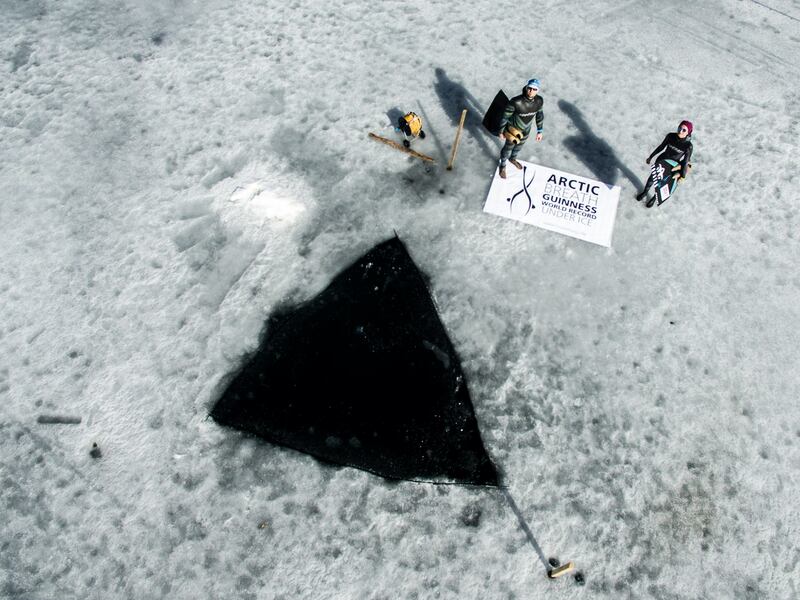 Expeditions have everything inside, planning, training, achieving… It’s like a sketch on how to get things done. 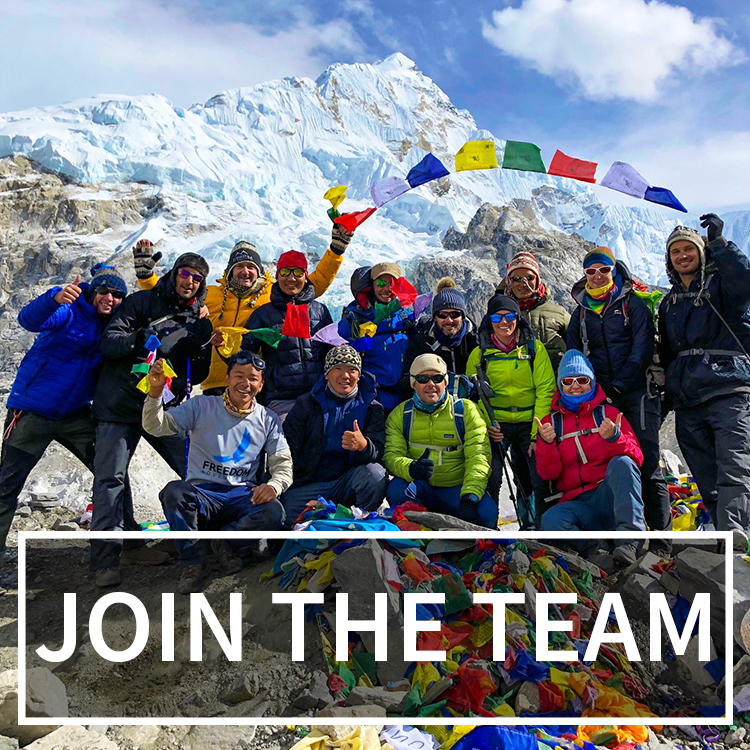 We did several expeditions to Kilimanjaro, Pik Lenina, Nepal, Amazon, Aconcaqua, Ojos del Salado, Jabuka, Australia, Uturuncu, Alps, Tian Shen, Elbrus… Project presentations include documentaries, exhibitions, public talks, tv shows… and people always have questions and ideas that come to life after that. What are some of your adventure or travel goals you would like to achieve? There are too many to count and growing every day. I have a few more expeditions and big trips in mind. Panamericana by bike, Mongolia by horse, Pacific again… I also have a few crazy projects in Croatia. 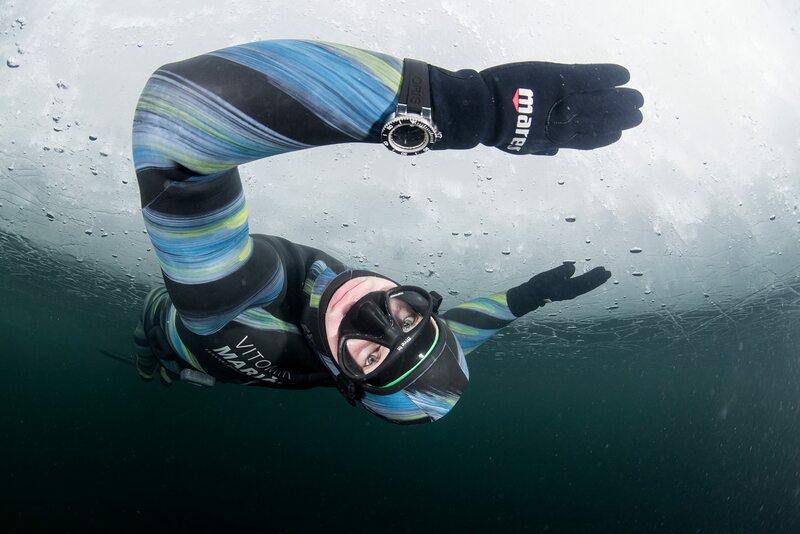 Climbing the big faces in the Alps, climbing a few FAs in Croatia, some sailing projects… I will try to set several world records in freediving in the next 2 years, so this all might be on hold. But its not gonna go anywhere. I adjust my sails according to the wind. What are some of your most memorable stories and achievements from your adventures? 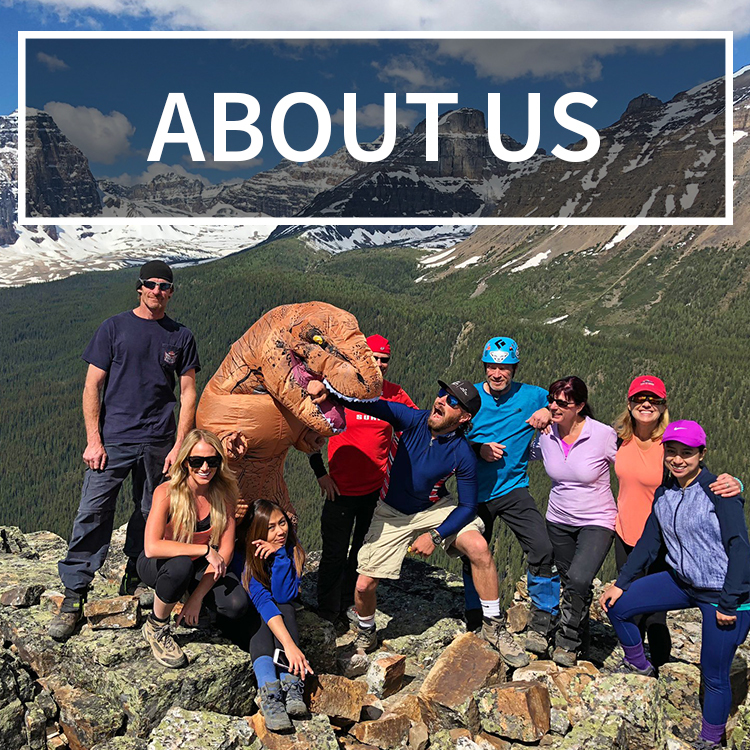 We at This Adventure Life want to inspire our readers to get outside and live a life of adventure, exploration and pursuing their passions. 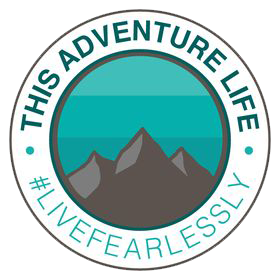 What would your advice be for someone who wants to live fearlessly and pursue their wildest dreams? Make irrevocable choices that open the paths to your dreams. Its either a question of time, or money. If you try hard, you can find both. Even if it means quitting your job to have more time to plan out your big world trip. If you are ready to do this, the trip will find you. Its the same with everything. You must make the first step, everything else is easier, and you will be rewarded for your commitment. Life is stochastic, you never know what waits ahead. Unless you do nothing. Then its pretty determined – you’ll get nothing back. I don’t really rate things as adventures or classify it as bigger or smaller, from going to the supermarket you can end up pretty much anywhere in my world. But… Im just on my way to Honduras to do some filming with dolphins, divers, sharks etc, and Im pretty excited about that!